Say the word tofu in just about any setting and watch as people wrinkle their nose in disgust. It’s somewhat natural since most of us only know tofu as a soggy, white, tasteless block that’s touted by vegans and people in the fringe as a great way to get away from eating meat. However, tofu might just be the UK’s most misunderstood food. What is tofu and what should you know? Tofu is one of those foods that you either love or hate. The good news is that even if you hate it, you can learn to love it. Chances are good that you just haven’t had it prepared the right way. 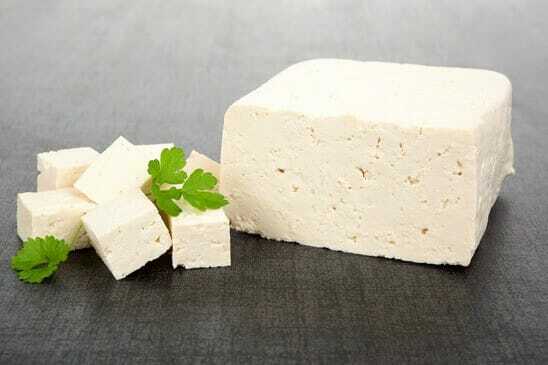 Tofu is really nothing more than fermented soy milk that has been curdled and then pressed into block form. It’s sort of like cheese made from cow’s milk, at least in how it is produced, if not in taste. As a food, it dates back over 2,000 years in China, and remains an incredibly popular dish there, and is becoming more and more popular in the UK. What is tofu – Tofu also contains important elements that help to fight heart disease. It’s high in isoflavones that have been proven to fight blood vessel inflammation and improve blood vessel elasticity. It has also been shown to increase blood flow while reducing the risk of heart disease. It can also help improve cholesterol levels, as well as insulin levels. Now, combine that with the fact that a 3.5-ounce serving of tofu only includes 70 calories, and you begin to realise not only why it remains so very popular, but just how good it can be for you. Ok, so that’s great, but what about the taste? While some people actually enjoy eating tofu uncooked in its rubbery, spongy natural form, most of us prefer to cook it. The good news is that you can cook tofu in just about any way you might want. Tofu lends itself well to a range of cooking techniques, but most of them do require that the tofu is dried a bit before cooking. 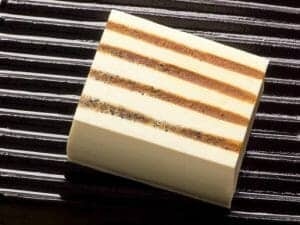 To do this, you’ll need to cut the block into pieces the size you want to cook with, and then either salt and drain, or press between paper towels and then allow them to air dry. Raw tofu contains a lot of water, and if you don’t get most of it out before cooking, chances are good that your meal won’t be all that tasty (and that the tofu pieces won’t hold together through the cooking process). One popular way to prepare tofu is to cut it into small blocks (about an inch long and half an inch wide), dry them, and then batter them using nutritional yeast. These can then be baked or pan-fried, and added to a wide range of dishes, although rice dishes make excellent options here. It can also be grilled, added to a quinoa salad, and even made into “fries”.